The following are comments posted by a car salesman last week on one of my blog articles. The post came from "Anonymous", but he identifies himself as “an Eagle Scout with morals and ethics intact”. He refers to himself as “Johnny”, which may or may not be his real name. His letter is interesting because Johnny’s comments perfectly capture the rationalization of car dealers and salespeople about why it’s OK to take advantage of their customers. It’s OK because deceiving a customer is necessary to make a profit and profit is a good thing. I guess, the greater the deception and the larger the profit, the more good it provides. Johnny is intelligent and articulate (although his spelling and grammar leaves a little to be desired) and he truly seems to believe what he’s saying. If I sent Johnny’s letter to every car dealer in the United States, a majority of them would not only agree with him but applaud him for saying it. Many auto manufacturers also follow Johnny’s brand of faulty logic and refuse to influence their dealers against deceptive tactics like dealer fees and addendum labels, which I call “phony Maroney’s”. Manufacturers know that for a dealer to sell the maximum number of cars, he must sell some at exorbitant profits to those “suckers” who can be taken advantage of…suckers like young first time buyers, the very elderly, the uneducated, and the language impaired. Large profits from these victims allow dealers to sell more cars near or below his actual cost, increasing his normal volume in order to hit factory objectives which pay large bonuses to the dealer. At first I thought I would answer all of this car salesman’s rationalizations and point out his lapses in logic. On further thought, I thought it best to leave it completely unedited, with no retorts, challenges, corrections etc. and let you be the judge. PART ONE-Hi. I've been in car sales for 3 years now and at first (I am an eagle scout with morals and ethics strongly intact), I felt guilty when I would make full profit on a consumer. Sometimes that would pay me 1,000.00 in my pocket to help support my family of four. Which supports the economy to btw... Then my mgr asked me how long will that thousand dollars last me, a week? I said yes maybe two if I plan accordingly. How long do you think your client will use his new car, helping him get to work to make money to feed his family? Three maybe four years before they trade it in... Let me ask you these questions earl, and EVERYONE else: since when is profit a dirty word? And who wins in the long run in a car purchase transaction? Why can every other business in the UNITED STATES OF AMERICA Mark up their products 2 or 3 times the cost making houge profits (300%) while car dealerships make maybe 1-3% of a profit margin? I understand a car or a house is a big ticket item so they can be negotiated (so said somebody one day), but one day I would like to haggle for the price of a t-bone at Publix, or gasoline or underwear or shoes or suits or GROCERIES or the cell phone bill or the electric bill. Seems as if everything for sale that you and use to Live goes up in price doesn't it? Um, wouldn't it be nice to see the invoice price of oil and bargain for gas? I think I made my point. PART TWO-I work 60 hours a week selling a quality product, New or preowned, and I get paid by commission only. Most new car shoppers research the invoice price, market price, kbb price, blah blah blah. I understand that price is important as I am on a budget just like you... but what about the person that spent 2.5 hours presenting, explaining, and demonstrating the vehicles' features and how they will benefit YOU? Do you not see the VALUE in that salesperson's time? Isn't he/shemance allowed to make a decent wage for working hard for YOU? Nope and nope. Why? "Because car salespeople are scumbags and are trying to screw over every hardworking person. How can they live with themselves and make a profit? How dare THEY?" Dealer fees are profit, but it's very little in the grand scheme of things. The state of Florida makes more on cars than the dealership does about 80% of the time. PART THREE-Since the internet changed the car business years ago to help the consumer get a fair deal (a couple hundred bucks over invoice), dealer fees came out to help keep dealerships open by making a DECENT profit and provide a service to the community helping people find what they want to go be mobile to have FREEDOM TO DO WHAT THEY WANT TO DO. nice huh? Again, profit is not a dirty word. We are providing a service and there is nothing wrong with getting paid for working. I'll end this diatribe with an interesting fact: we say "Buyers are liars." It's kinda funny that 90% of people who are pointing a FINGER at car salespeople calling us scumbags are the ones who lie and treat us with disrespect and disregard us as human beings. My granddad told me a long time ago, "johnny, if you point your finger at someone remember that there are three of your own pointing back at you." FINAL PART-I hope the day comes that the dealer fee goes away and EVERYONE pays MSRP. or EVERYTHING can be bargained for. Including gasoline. Unfortunately neither will happen so I can only hope that everyone I meet will end up liking me, my service, my product, and the VALUE of the car I am helping someone purchase, and that value exceeds the PRICE for which they will pay. Good Luck to you all, Godspeed, and try to treat us car guys with a little dignity. Come in well armed with.your pricing sheets and if we work hard enough, decide what percentage of profit we should make if we help you find the right car for your needs and if you received a world class experience. Think of it as a tip. Like a server in a restaurant, which I used to be... Carrabbas btw. Yum! A good server can make 20-29% of total sales in a tip for an hour worth of work. And good car salesman can work up to four hours helping people find a car, and not make a dime when the customer walks out because we didn't lower our price by 130.00. Wtf? Think about that. We put our pants on one leg at a time like you. And we go to work to put up with your bull. So just be cool. Johnny, if you read, this, please call me and let’s discuss your beliefs about how cars are sold. My personal cell phone number is 561 358-1474. I promise to listen to everything you say with an open mind. I would like you to visit my dealership in North Palm Beach and see how we do business. I would like you to talk to some of my salespeople and ask them how we sell cars and how we feel about our customers. My dealership is the largest volume, and most successful one in Palm Beach County and one of the largest in Florida and the USA. I promise to keep your identity confidential. I don’t have to know your real name or the car dealership you work for. I’ll even buy you lunch. If you like the way we do business, I might even offer you a job. What have you got to lose? By the way, respect and admire that you attained the rank of Eagle Scout. I was a Boy Scout, but never made it past the rank of Star. Are Car Buyers as Culpable as Decepetive Car Dealers? Almost all of my columns and radio shows are aimed at car dealers who take advantage of their customers through unfair and deceptive advertising and sales practices. In my columns and my radio show I offer advice to car owners and car buyers on how to avoid being taken advantage of. I’m very far from being unique in that respect. There are many others who do the same thing and there’s a “mountain” of consumer information available online as well as in books and magazines. Furthermore, there are lots of government and private agencies who are there for the consumers’ protection including the Department of Motor Vehicles, the State Attorney General, the County Office of Consumer Affairs, the Better Business Bureau, the Department of Agriculture and Consumer Services, and the Department of Financial Services. But these sources of information and regulators cannot help the car buyers if they don’t avail themselves of them. If a person leaves his car running with the keys in it, isn’t he just as responsible for having it stolen as the thief? Most women know better than to leave their purse out on the front seat when they park their car at the mall. How about those people who forget to lock their doors when they leave home? Or how about those that go on vacation and don’t stop their newspaper delivery, don’t leave on some lights, and don’t ask the local police and/or neighbor to keep an eye on their house? It’s not uncommon to see women and men wearing very expensive jewelry in public places. How many professional animal handlers have been mauled and even killed because they didn’t take the proper precautions with wild animals. I hate to say this, but there has always been, and there will probably always be, an element of society that will take advantage of others. It’s just the “nature of the beast”…like the tiger mauling his trainer or the scorpion stinging the frog that carrying him across the river on his back in the parable. We live in a very imperfect world and there are animals and humans whose nature it is to harm us or take advantage of us. When I say that buyers are as culpable and deceptive as car dealers, I don’t mean all buyers who are taken advantage of. Just as there will always be those in our society whose nature it is to harm others, there will always be those in our society who will be victimized. These include the very young, the very old, the uneducated, the mentally challenged, and the language impaired. Society must protect those who cannot fend for themselves. We must do a lot better job than we are now doing on this element of our society, but that’s for another column. This column is directed at those who do have all of the faculties needed to make an intelligent and safe decision to buy or service their car, but choose not to for expediency sake or maybe because their emotions overcame their rationality. No car buyer who isn’t part of the “chronic victims group” that I’ve described is likely to be taken advantage of by any car dealer if he does his homework before he buys or services a car. Readers of this column and listeners to my radio show have read and heard it all before. Don’t go car shopping alone, always get three price quotes, never buy a car on the first day you begin shopping, your Internet price is the lowest, etc. Those who are taken advantage of because they didn’t avail themselves of all of the protective sources and advice often complain loudly, to me and to their friends. But they don’t complain to the regulators very often. You’ve probably heard me rail at the regulators for not doing their job. The Attorney General and other agencies claim to be understaffed and spread too thin. Their excuse is true to some extent, but “the squeaky wheel gets the oil”. When I was asked to address the state senate commerce committee in Tallahassee about the evils of the dealer fee, the Attorney General testified with me and said they didn’t receive that many complaints about the dealer fee! If a person is taken advantage of, there is an “embarrassment factor’ involved in not notifying the regulatory agencies. But that’s a feeble excuse. If more people would complain about unscrupulous car dealers to the regulators, the wheel would squeak loudly and action would be taken to fix it. You might not be made whole for the loss you just incurred, but you would lessen your chance of this happening to someone else, or you again, in the future. Those of us who are able must exercise our free will and take accountability and responsibility for all of our actions including educating ourselves in the car buying and servicing procedures and reporting to the regulators those car dealers who don’t play by the rules. This is the third time I've run this article which originally ran five years ago. I ran it again last year, but it’s so important that I’m repeating it for the third time. The original title was “Car Dealers Exploiting the Elderly”. I’m doing for several reasons. First and foremost is that this problem is deadly serious and getting worse. The number of calls I get from elderly victims is increasing exponentially. There are many new readers to my blog and my Hometown News column who have not read either of my first two articles. And finally, the Associated Press recently issued a release, “Scams on elderly lucrative, rarely reported”. The AP news release begins “Boomers beware: Scams, frauds and other financial exploitations schemes targeting older Americans are a growing multibillion-dollar industry enriching the schemers, anguishing the victims and vexing law enforcement officials who find these crimes among the hardest to investigate and prosecute.” The article goes on to explain that only a fraction of the abuse gets reported, often because victims are too befuddled or embarrassed. Just last week I was helping female victim in her eighties, a widow who was all alone, having recently lost her son too. She told me that she was too embarrassed to tell any of her friends or the authorities. She asked me not to use her name in my column or on my radio show. I get calls from elderly victims of car dealers weekly and I’m sure that it’s “the tip of the iceberg”. How many more are afraid to call me, just as they are too embarrassed to tell their friends or the authorities. Last year MetLife estimated the annual loss by victims of elderly abuse at $2.9 Billion. There is no more fertile feeding ground for predators on the elderly than South Florida. 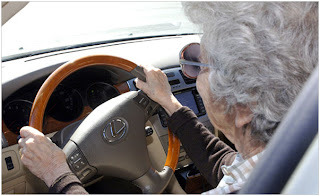 A car purchase is the second largest purchase a person makes and what more lucrative target and reward is there than an elderly widow buying a $30,000 new car, perhaps for the first time in her life. Not a week passes without at least two or three elderly people contacting me about being victimized by a South Florida car dealership. These are usually pre Baby Boomers in their seventies, eighties and nineties. I’m happy to say that I have a high rate of success if I’m contacted soon after the purchase, within a few days. The first thing I do is contact the dealership’s owner. With publically owned dealerships like AutoNation (Maroone), Penske Automotive, and Sonic, and Group One I have to contact the real General Manager. I emphasize “real” because sales managers will often try to foist themselves off as the General Manager, but they are only in charge of the car sales departments and are really “general sales managers”. In the rare occasions I strike out, I have no alternative but to contact the Florida Department of Motor Vehicle, DMV which is the best governmental agency to keep a car dealer on the straight and narrow. I am learning as I approach 70 that I’m not quite as sharp in some areas as I once was. My memory is not as good and I am not as fast as I used to be. This is not to say that I am not as smart as I was when I was younger. In fact, I’m a lot smarter. There was a great article in the February 16 Wall Street Journal entitled “The Upside of Aging”. It explained how recent scientific studies have proven that even though certain mental abilities like memory and reaction times regress as we age, other more important mental abilities like judgment, empathy, vocabulary, and semantic memory more than offset the negatives. Semantic memory is the recollection of facts and figures from your field of endeavor or hobby and is most robust in seniors. If you would like to read this article just click on www.TheUpsideOfAging.com or send me your email address or fax number and I will send it to you.